I have been a bit busy lately getting ready for my trip to Costa Rica. I leave tomorrow for an unknown amount of time. 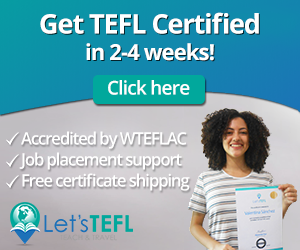 I will be taking a Teaching English as a Foreign Language Course for the next month. There will be plenty of adventures and struggles. Learning and navigating a foreign country will have its ups and downs. I will post as often as I can so that you can get a feel for what it’s like to move somewhere without your family, friends, or fiance. There are some packing issues I have run into. As most people know you have to keep your luggage under a certain weight limit. I went over this limit and had to repack my bag three times. When traveling abroad, you really don’t need as much as you think. I was able to leave a bunch of pants and jackets I packed home. I get cold easily so I thought I would need a lot of jackets. To save space, I limited 5 light jackets to 3 jackets and 4 pants to 2 pants. One of each I am wearing on the airplane. It will rain a good portion of the time I am in Costa Rica because it will be the rainy season while I am there. I wanted to pack my rain boots. They are heavy and huge so packing them was not an option. I did some research and found that they are inexpensive to buy in country. I will post when I am in country how much they actually cost me to buy. After, taking these items out of my luggage I was able to get my suitcase down to the 50 pounds. It was not easy for me. I love to over pack and over prepare. I want to make sure I have all the things I am used to having. This will be something I will have to get used to. There will be things I love here that I will not be able to have in Costa Rica. Tomorrow starts the beginning of an adventure of learning and growing into a more rounded person. 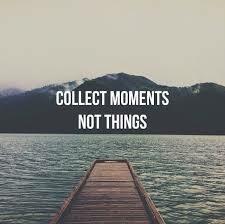 I am learning to collect moments not things!